Join us for our brand new education series at the Farm. 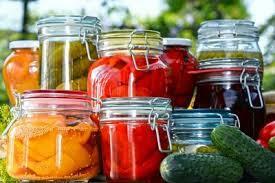 We begin the adventure with a 3 part series on fermintation, beginning with Preserving Vegetatbles. It’s near the end of the summer and you have so many cucumbers you don’t know what to do with all of them. Learn how to make delicious pickles with a traditional brining technique. **1st Class September 15, 2nd Class October 6, 3rd Class October 27th. Each class ticket Sold separately, max 12 people per class.